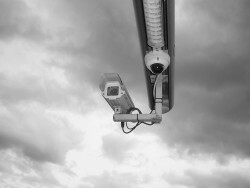 If you’re thinking of upgrading your current CCTV security system, you may be considering investing in IP security cameras. With digital technology, flexibility of use, and advantages of scalability, as well as the ease of remote monitoring, for many IP security systems would appear to be the natural route for upgrade. Analogue CCTV suffers from poor image quality and limited flexibility of use when compared to other security camera systems. As visual technology has evolved, it has overtaken analogue as the preferred choice of security conscious businesses and homeowners. However, the cost of replacement has, until now, always been a negative factor when considering upgrade of security systems. In the last few years HD-SDI cameras have become available which give users almost all the advantages of IP cameras but at a lower cost. High Definition Serial Digital Interface (HD-SDI) technology will be recognized by many as the technology which makes flat screen television images so clear. In the world of security cameras though, HD-SDI is relatively new: the mobile and television industry was reluctant to allow its use on a wider scale and only licensed it for security camera use in 2009. What type of cable is needed? 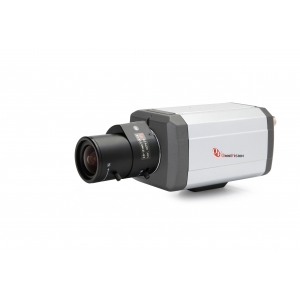 HD-SDI cameras use coaxial cable, the same as used on current analogue CCTV systems. That means there’s no need for re-cabling. What type of video does it send? It sends uncompressed video/audio, which is why it works over coaxial cable. IP cameras send compressed and encrypted images. How far away can I place a camera from the recorder/monitor? HD-SDI cameras work perfectly well at cable lengths of up to 500 feet. For longer distances an HD repeater must be added. Will I need to update the DVR? Yes: even though the camera can transmit by coaxial, images sent can only be stored on a digital recorder. Can I mix HD-SDI cameras with analogue CCTV? Yes: however, while they both exist on the same coaxial, because of the need to have different recorders they effectively need to be on two separate ‘networks’. This said, both can be monitored in real-time on one device such as a computer or other screen. What level of technical expertise is required to replace analogue with HD-SDI? Very low: it really is a question of ‘plug-and-play’. How cost effective are HD-SDI cameras? Very, especially if you are upgrading from analogue: with no new cabling required the expense lays squarely with new recorders and cameras. 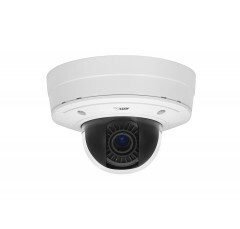 If you have no requirement for camera re positioning, you will be able to upgrade your security system with ease. HD-SDI technology is available in a range of cameras to suit all needs and situations. These include indoor and outdoor, dome, bullet, and PTZ. Will I really see the difference when I upgrade? Absolutely: resolution at 720p or 1080p gives images clearer and crisper than you will ever experience on an analogue security camera system. And because the images sent over HD-SDI are not compressed they appear real-time and not delayed. It all sounds too good to be true, there must be a drawback. What is it? If there is a drawback it is that cameras have to be wired one per cable, whereas IP cameras are much more flexible. This means that scalability and flexibility of the security system will not be as high as with security systems with IP cameras. However, there is also no need for any retraining to use the system. In the next few years it is expected that HD-SDI technology will improve further to come even closer to the performance of IP systems. One area where technology is promising to push even further ahead of analogue is cable length. It has only recently increased to being workable at 500 feet lengths of coaxial, but is expected to push toward the 1,000 feet capability of analogue within 12 to 24 months. Digital quality pictures make for more positive identification and better decision-making by security operatives. With HD-SDI cameras now offering so many digital benefits at costs barely above analogue systems, there has never been a better time to upgrade your security camera system, and never a more simple way of doing so.